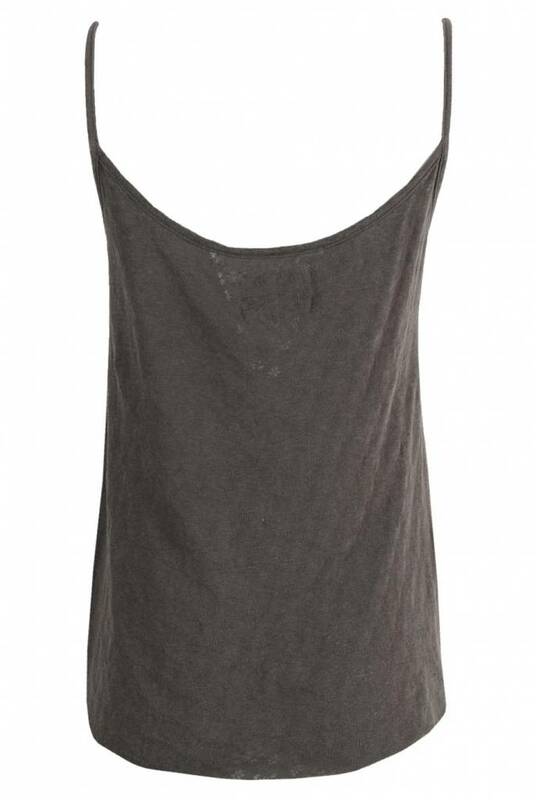 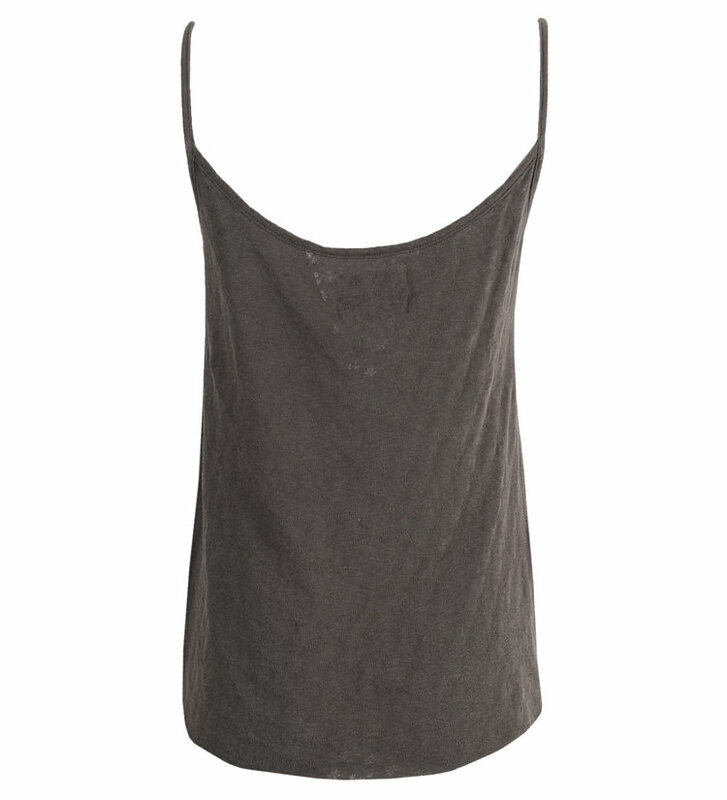 The Dona Singlet Pointel Carbone from Leon & Harper. 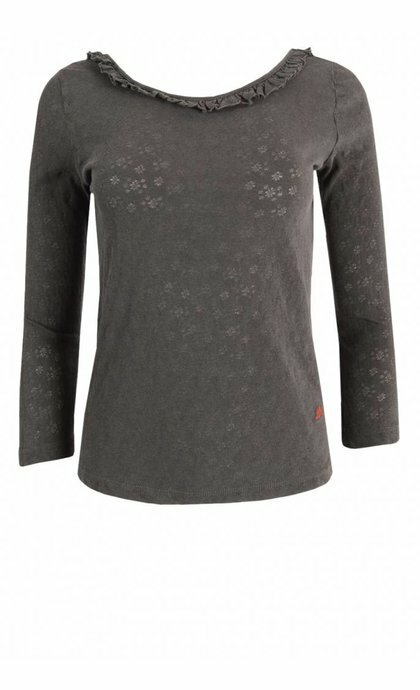 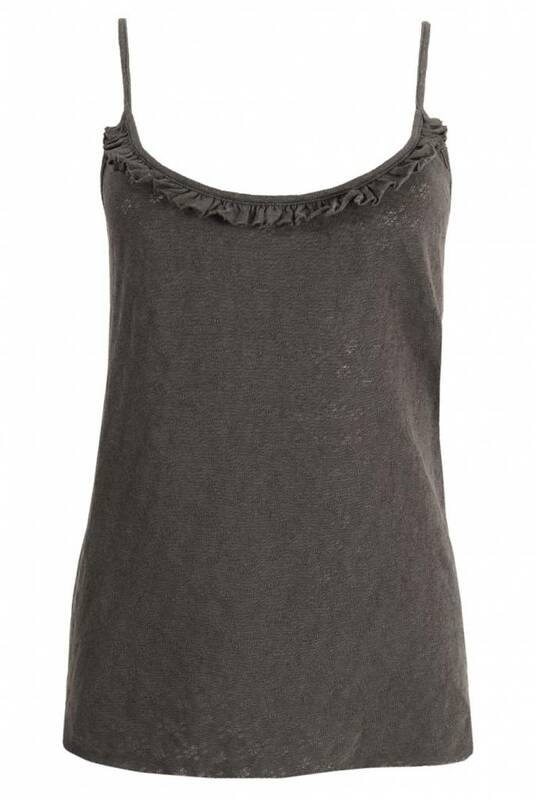 The top has a round neck with ruche detail and a low back. 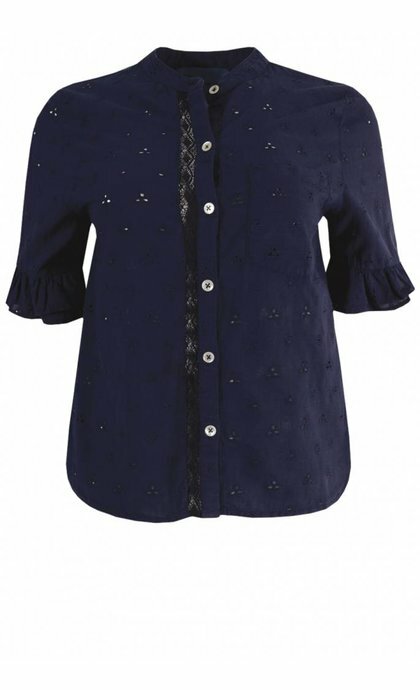 The fabric is fully decorated with a subtle semi sheer floral pattern.